You could buy a tail light from Mexico for the Mk1 - they had the blinkers/flashers/turn signals built in. Hey, I've made some upgrades to my lighting for increased visibility. 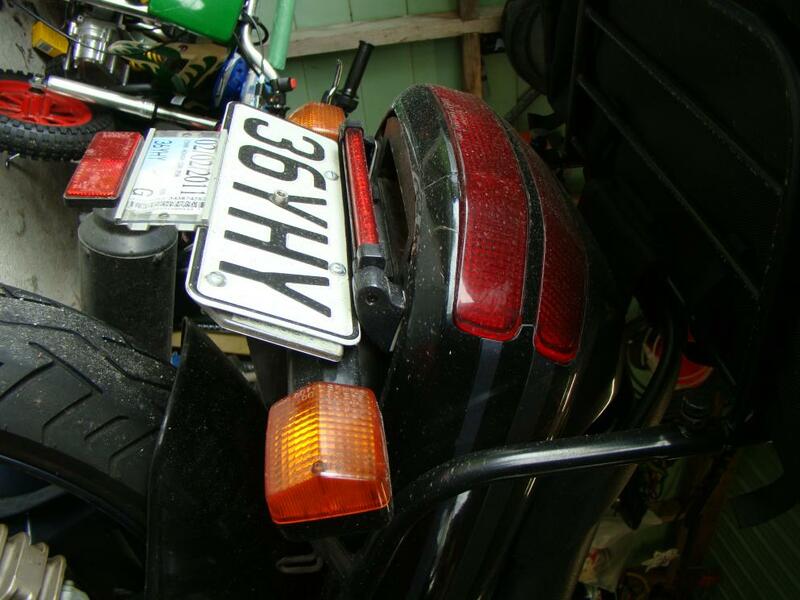 I have installed an extra light below my main tail light. It's an LED type that only illuminates under braking which has made a marked difference to how traffic responds. Because the law over here requires lights on at all times, drivers have issues seeing if bikes are braking or not. Having had some seriously close calls I opted to fit the LED brake light. This has made things alot safer for me. Since fitting it I have had NO near misses in the last year. The style of LED light I fitted does not interfer with plate night lighting, require fairing alterations and nice and bright. The pic below of it illuminated is in daylight, so as you can tell it really stands out. With regards to the head lighting. You can make some good changes here. I'm in the process of changing my Mk1 bike's head lamp to accept one of the new Narva Xenon style Halogen variants. The spread of light will be improved over the standard set up. According to the blurb they are suitable for polycarb headlamps set up's, no extra power consumption or heat, provide an extra 35 metres of beam length and alot more light. Links below, select the plus 100 lamps to get the pdf. 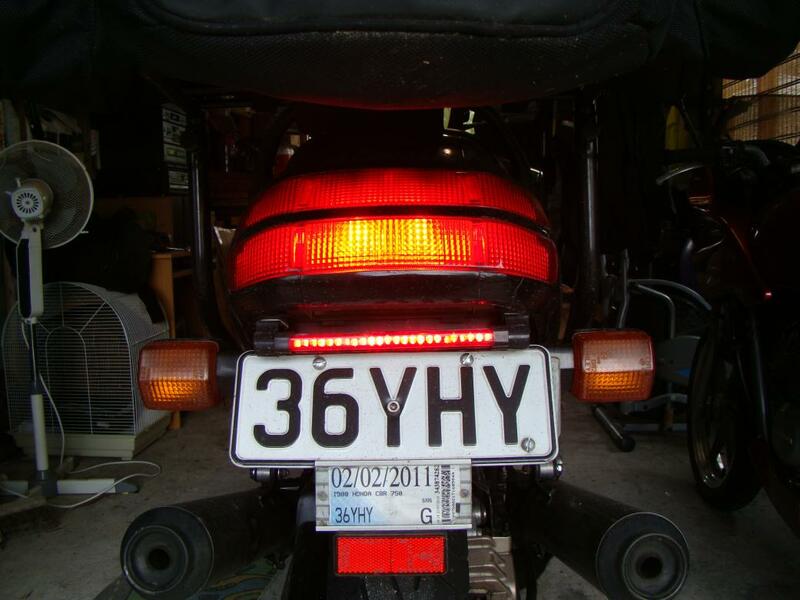 A bonus using LED lighting is it does not increase amperage much compared with standard lamps as fitted to most mini driving lights sets you can get to 'bolt on' You have to be very careful with extra lighting loads as not to over burden the charging system and switchgear on the bike.